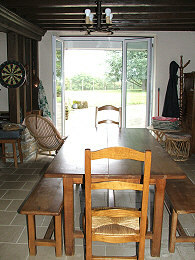 A family size house for sale in France tucked away in a hamlet with no passing traffic. Beyond the garden are open countryside views overlooking the valley, with the river within walking distance below. 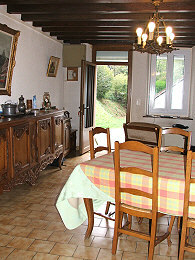 The front door opens into the kitchen and breakfast room, with fitted kitchen units, an open fireplace and exposed beams. 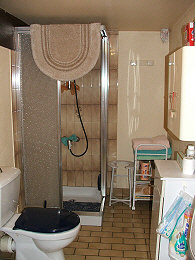 To the side is a bathroom and toilet. 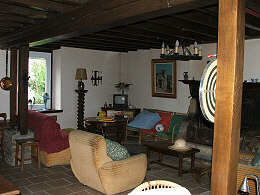 A door at the other side leads into the very spacious lounge and dining room, also with an open fireplace and exposed beams. 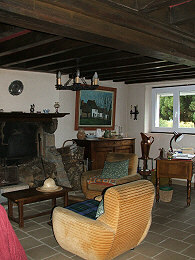 Double French doors from the dining area open onto the patio and the garden The original stone sink is a feature at the bottom of the staircase in the lounge. 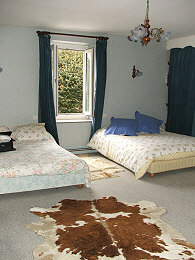 Upstairs, there are five double bedrooms and a washroom. 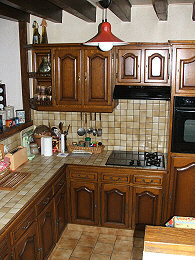 There are 2 bedrooms to one side of the house, with a staircase from the kitchen. 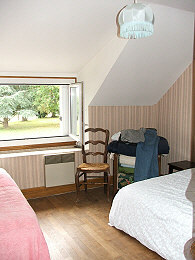 The washroom and the other bedrooms are above the lounge. 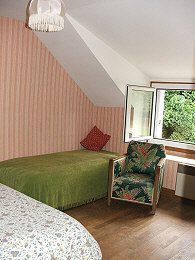 The back bedrooms have lovely views over the garden and rolling hills. The property benefits from double glazing and roller blinds. 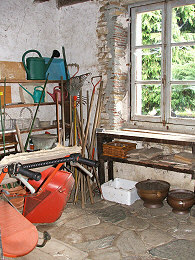 Attached to the house is a garage and a small outbuilding with a bread oven. 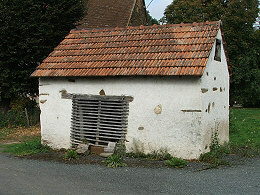 There is another small stonebuilt outbuilding at the front. 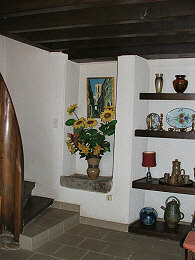 Separate to the main house is a smaller house with lots of character. 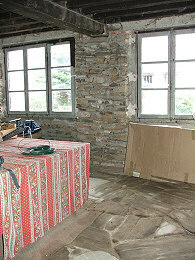 With the original stone floors in good condition and exposed beams, it would make a good renovation project. 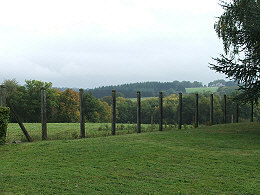 The garden is enclosed and has mature trees. 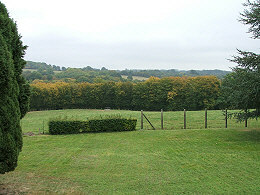 Beyond the garden are open fields and woodland views. 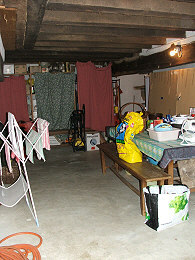 There is vehicle access to the back of the property from the road along a private driveway. 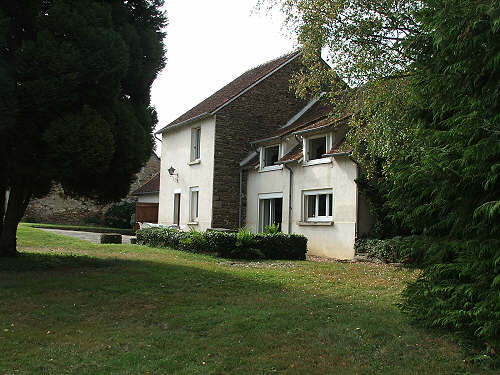 This spacious house for sale in France would make a lovely family home. 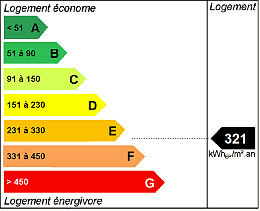 It is suitable for a two generation family. If you are considering a bed and breakfast business, the conversion of the existing habitable space to provide comfortable, modern guest rooms could be achieved at a reasonable cost. 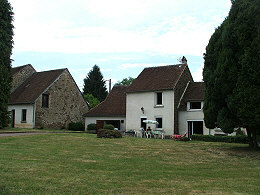 The smaller house would also make a very nice gite. It enjoys a beautiful setting in a peaceful location. 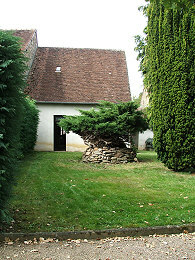 Fresselines, known as the artists' village because of its connections with Monet and the Impressionists, is just down the road. It is the start of the Valley of the Painters, a wonderful area of steep river gorges and wooded ravines.